Betty’s practice is focused primarily on representing clients in all aspects of employment law, including defense of employers against claims of discrimination or of violation of other local, state and federal employment laws. In addition, she advises employers regarding all aspects of managing employees. Betty practices higher education law, including advice to and defense of public and private colleges and universities. Betty has advised and represented local governments and landowners in negotiations and litigation regarding annexation and annexation related matters. She has also litigated cases involving zoning regulations. Since 2005, Betty has been recognized by her peers for excellence in labor and employment law and land use and zoning law in Best Lawyers in America. 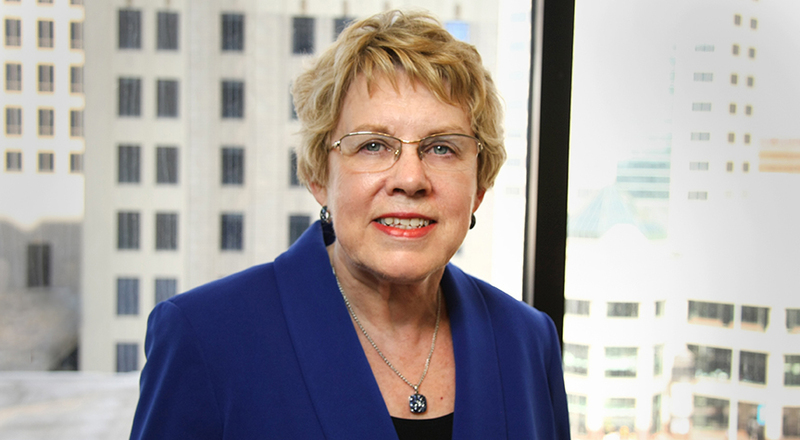 Betty was named one of the “Top 25 Columbus Women Lawyers” by Ohio Super Lawyers in 2010-2012, 2016 and 2017. Defense of employers in many forums, including state and federal trial and appellate courts and administrative agencies. Representation in mediations, assisting clients to resolve cases in a beneficial and cost effective manner. Advice to employers regarding all aspects of managing employees. Advice to Executives regarding Executive Employment Agreements and Severance Agreements. Legal planning and policy analysis and formulation, including preparation of employee handbooks. Conducting of workplace training including executives. Preparation of agreements, including Employment Agreements, Confidentiality and Non-Compete Agreements, Compensation Agreements, and Severance Agreements. Advice with regard to employment, labor, faculty, student, police jurisdiction, and constitutional issues. Defense of colleges and universities regarding these issues before administrative agencies and state and federal trial and appellate courts. Negotiations and litigation including hearings before Boards of County Commissioners, and appeal and injunction actions before Courts of Common Pleas, Courts of Appeal, and the Ohio Supreme Court in annexation and annexation related matters such as operations and services of cities, townships, and counties, zoning, planning, land use, taxation, tax abatement, finances, utility services, and safety services. Advice related to formation of Joint Economic Development District and Annexation Agreements. Representation of organization of builders and large residential builders in major litigation challenging the constitutionality of local government ordinances relating to development. Representation of major outdoor advertising company and others with regard to billboard regulation.